The view from the balcony was fantastic of the sea. Location is perfect, the staff was amazing, the breakfast is pretty decent. Fabio at the reception was very helpful! He showed us were to park the car, helped us with our bags, showed us the appartment and facilities in the room and told us how to get to the place were you can see the waves. 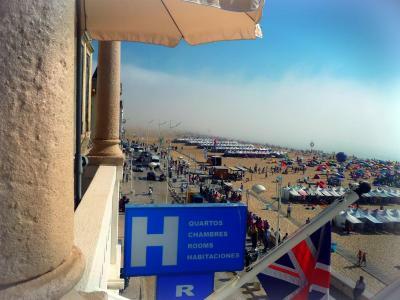 He could tell us a lot because he lives in Nazaré. We had a room in the back but there is a public balcony on the first and second floor were we sat for a couple of hours. Appartment was really big, and had a bath and fridge. Also the breakfast was simple but good! Great staying! Basic small clean room. Functional with everything you need and nothing you don't. It's no 5 star but for a couple of cheap nights if you want clean basic comfy then it's great. 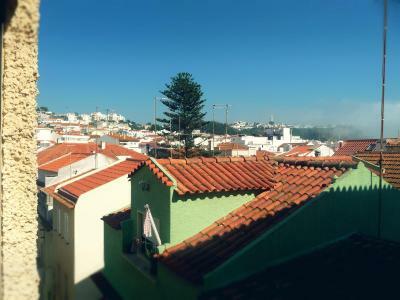 Breakfast was one of the better we have had while traveling through Portugal. Hotel Cubata was on the main road overlooking the beach - we had a balcony overlooking the ocean which is a must. Very basic accommodation and overall facilities - an attached bar is your drinks spot as well as breakfast venue - very basic breakfast included. 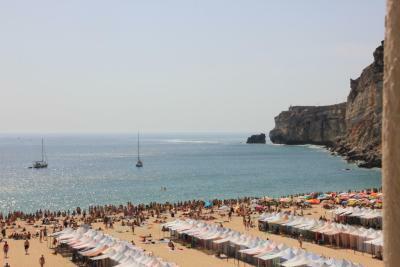 Great location and access to Nazare restaurants and walk along the beach, or walk up to the old monastery or travel via the tram. Driving to the hotel was a challenge - you have to ignore the 'no entry' sign which really means local traffic only and then you find a narrow one way road that loops around the back of the hotel so you can pull up out front - quickly unload your bags, and then park the car either on the street (keep feeding the metre) or find the free 24 hour lot at the top of the town if room. The breakfast was very good, much better than I was expecting with a good selection - buffet of cereals, croissants, fresh fruit, bread, toast, ham, cheese, yogurt, scrambled eggs ... and no limit to food or drinks - coffee and a good selection of teas. Hotel Cubata This rating is a reflection of how the property compares to the industry standard when it comes to price, facilities and services available. It's based on a self-evaluation by the property. Use this rating to help choose your stay! 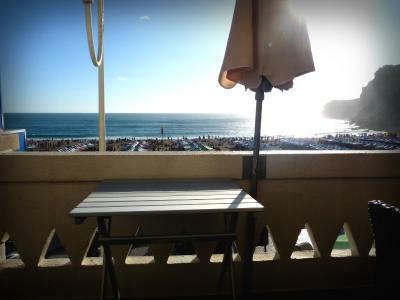 Hotel Cubata is located in front of the ocean and the beach, just 100 feet away and a 5-minute walk from the Nazaré center. 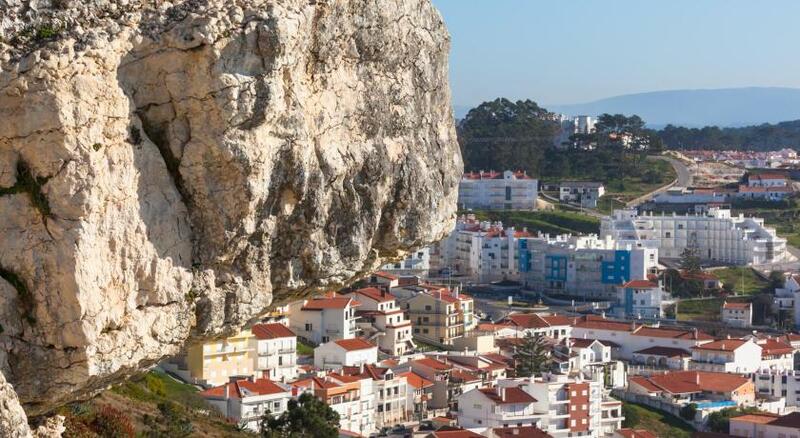 Ideal for beach-goers, it is a short 2-minute walk from the Nazaré Elevator, which connects to the Sítio da Nazaré, with its panoramic city views. 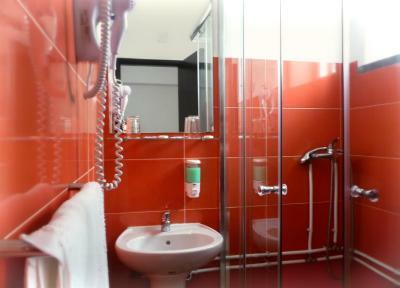 The comfortable rooms all feature a desk, wardrobe and a private bathroom with a hairdryer and free toiletries. 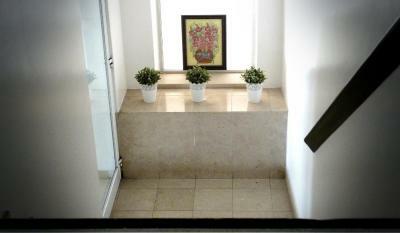 The rooms also include a flat-screen satellite TV and free WiFi access. Some rooms also have a mini-bar, refrigerator and a balcony with views over the ocean. A daily breakfast buffet is included in the room rate. Guests have an on site snack bar at their disposal, where light meals and Portuguese snacks are served. The nearby city center has a variety of restaurants available. 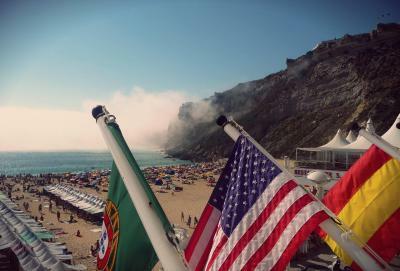 The Nazaré region is renowned for the quality of its fish and seafood dishes. The Hotel Cubata has a games room with billiards available, at a surcharge. The hotel also features a bar, where refreshing drinks and cocktails are served. The nearby beach offers plenty of activities for guests of the Cubata to take in, such as swimming, sun lounging, windsurfing or just strolling across the long boardwalk. 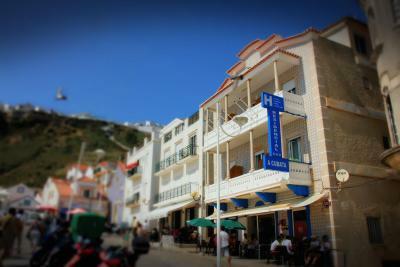 The seafront area has a variety of shops, boutiques and cafés. Sítio da Nazaré also features the Fort of S. Miguel Arcanjo, the church of Nossa Senhora da Nazaré and a museum. The famed Batalha Monastery is a 35-minute drive away. 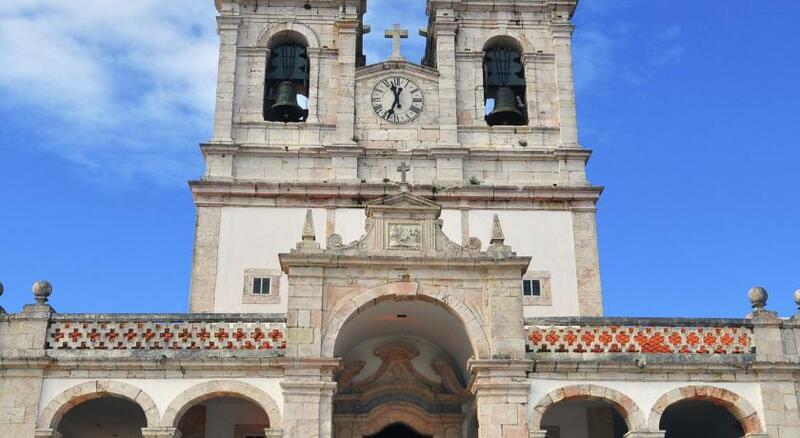 Fátima is a 45-minute drive away and features a sanctuary that is a famous pilgrimage site. The Lisbon International Airport is a 75-minute drive away from the Hotel Cubata. When would you like to stay at Hotel Cubata? This comfortable double room features a desk, wardrobe and a private bathroom with a hairdryer and free toiletries. The room also includes a flat-screen satellite TV. This unit can accomodate 1 extra bed or 1 baby cot. This comfortable twin room features a desk, wardrobe and a private bathroom with a hairdryer and free toiletries. The room also includes a flat-screen satellite TV. This room cannot accomodate any extra beds, it can however accomodate 1 baby cot. This ample double room features a desk, wardrobe and a private bathroom with a hairdryer and free toiletries. The room also includes a flat-screen satellite TV, mini-bar and a refrigerator. This unit can accomodate 1 extra bed or 1 baby cot. It also features a sofa bed that can accomodate a further 2 guests. This comfortable double room features a desk, wardrobe and a private bathroom with a hairdryer and free toiletries. The room also includes a flat-screen satellite TV, mini-bar, refrigerator and a balcony with views over the ocean. This comfortable and large double room features a desk, wardrobe and a private bathroom with a hairdryer and free toiletries. This unit can accomodate 1 extra bed or 1 baby cot.It also has a sofa bed that can accomodate a further 2 guests. House Rules Hotel Cubata takes special requests – add in the next step! Hotel Cubata accepts these cards and reserves the right to temporarily hold an amount prior to arrival. Hotel was old. TV broke down and could not be repaired or replaced. Room with no natural light, only a window with view to an outside wall. Room wasn't very clean, found some hair on the floor and in the shower. Bathroom was very small, really hard to get around. Breakfast was not bad, not awesome but not bad. Hotel staff wasn’t very friendly. The room and corridor were tidy but quite old, so the smell in the room was stuffy. We reserved this hotel because of the possibility to wash clothes but the laundry machine was out of order during our stay. Staff, mainly reception lady! Really aggressive! When people don’t want to serve, better is stay at home, staff shall be the 1st giving Hotel picture.